Those who dare abandon their self-consciousness or affected shyness when comes the time for salary negotiations and ask for the sky may be richly rewarded. Read on. This tip—or rather this revelation—comes from the results of a study published in July 2011 in the Journal of Applied Social Psychology. 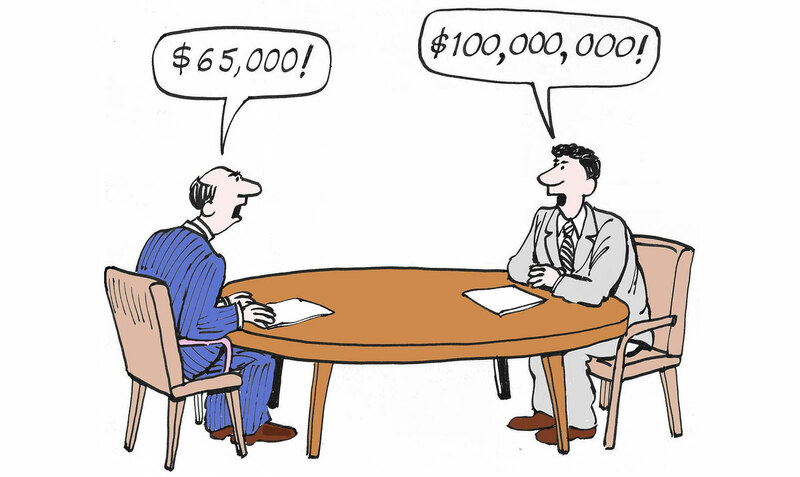 Conducted by Todd J. Thorsteinson of the University of Idaho, the study is on the very respectable topic of salary negotiations:Initiating Salary Discussions With an Extreme Request: Anchoring Effects on Initial Salary Offers. Participating candidates who dared ask for an extravagant salary—of up to $100,000—for an administrative assistant position ended up with a starting salary 9% higher ($35,385) than those with more reasonable requirements ($32,463). Mr. Thorsteinson concluded that candidates whose salary expectations are significantly, i.e. stratospherically above average—will not be discredited in the eyes of the recruiter. The requested salary will serve as an “anchor” for salary discussions. So it’s not necessarily bad, once in a while, to make totally outrageous requests!